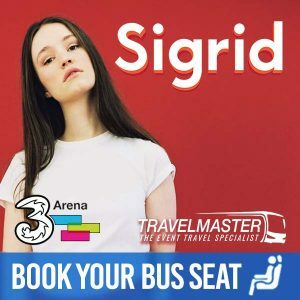 Through TravelMaster, you can purchase tickets for a Bus to Fatboy Slim from Cork, Kerry, Waterford, Tipperary, Limerick, Kilkenny, Carlow & Laois to the 3Arena because TravelMaster provides an easy and smart way to travel by Bus to Fatboy Slim – since seats sell quickly, don’t delay and book today! 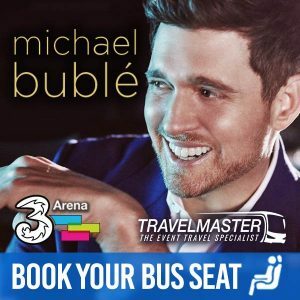 While you relax and enjoy your journey, others are rushing from hotels and luas stops to get to the venue. 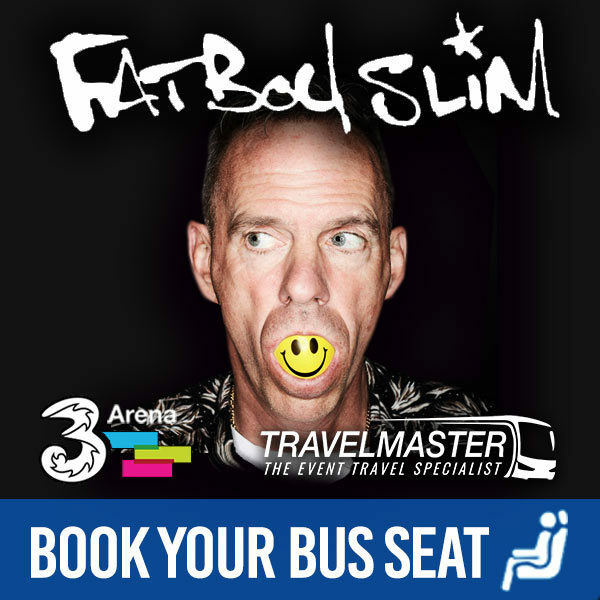 TravelMaster’s Bus to Fatboy Slim will drop you outside the 3Arena and return to collect you right after the event! How do I buy a ticket for a Bus to Fatboy Slim? Relax and enjoy the Bus to Fatboy Slim. Why should you use TravelMaster to travel by Bus to Fatboy Slim? COMFORT: You travel safely in comfort and as a result, you arrive refreshed to enjoy the Fatboy Slim gig. COST: Most of all, with TravelMaster’s Bus to Fatboy Slim you save on the cost of hotel rooms for overnight stays.